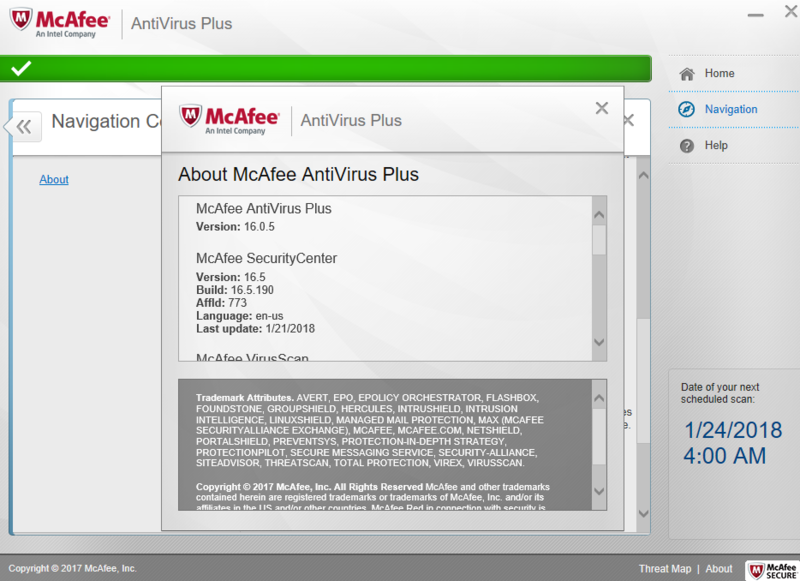 Re: Old interface of McAfee Antivirus Plus? Old interface of McAfee Antivirus Plus? 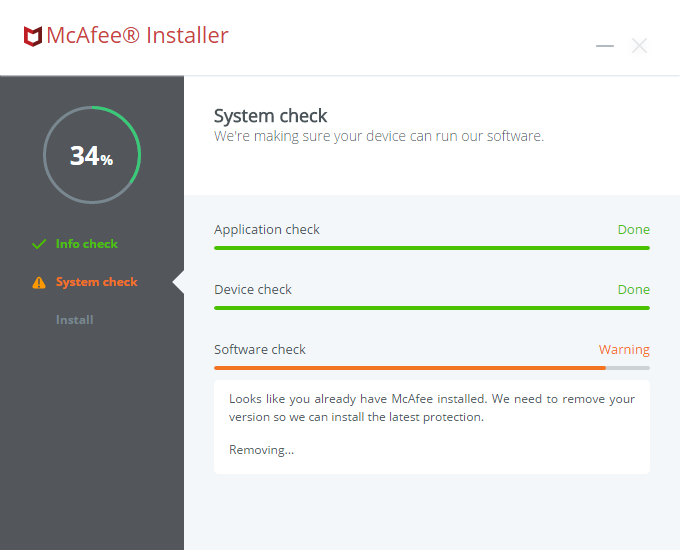 I installed McAfee Antivirus Plus recently and it installed the old interface, with the green bar and Windows 8 style look. I think the new interface should have a blue bar on the top, as I got a Dell with McAfee LiveSafe and it had that interface. Is there a reason why it is not updating to the new interface? --This is quite possible as some 3rd party suppliers still have the old interface. The software is still protecting. However I am sure that will eventually change to the new GUI. I would also check there's not a separate entry for Cloud AV in the Control Panel > Programs and Features. If there is, uninstall it. I don't really see the solution here. I contacted Mcafee they had me make sure windows was up to date and reinstall. Old interface . In fact see Mcafee Document ID: TS101107 which states this is the old version. (gui). I have 3 friends who have Dell computers whose Mcafee just "magically" went to the older version within the last week. The old interface is pre-2016. We should have the new interface.. Reinstalling did not solve the interface issue. It will eventually update to the new one again. About 2 weeks ago Mc updated an interface to a new style, some of the options were missing, I even called to support, which had no Idea where those options are... TODAY I checked the scans and see OLD interface on all of my 3 PCs . This is reticules.